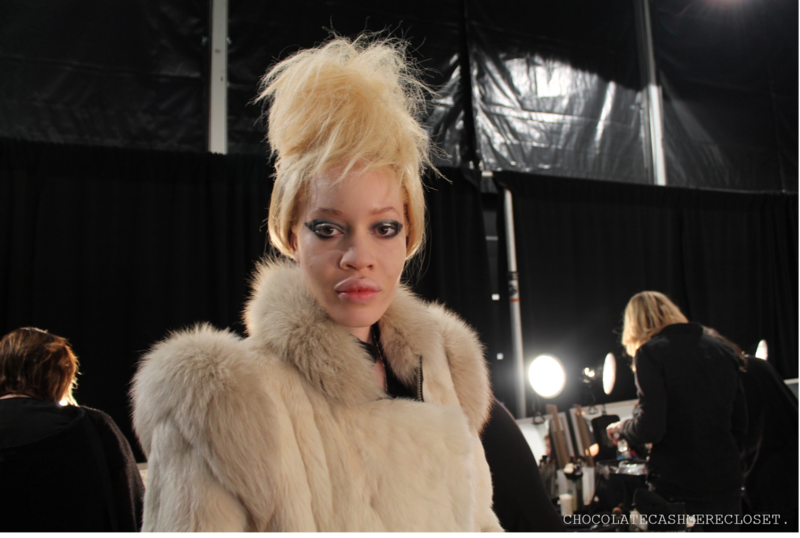 Household South African designer, David Tlale showcased his awe-inspiring collection at New York Fashion Week with regal hair and makeup looks that charmingly represent his marvelous creations. 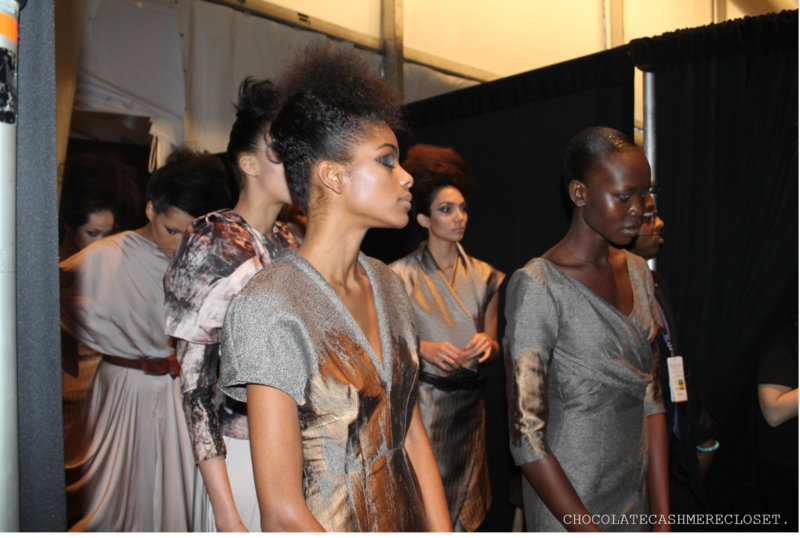 Head hair stylist, Adrian, said of the show's hair looks, "We wanted the models hair to have a lot of texture, body and volume to it to proudly represent the bustling spirit of the collection's South African roots so we included messy silky strands pulled to the side for a beautiful, regal look." 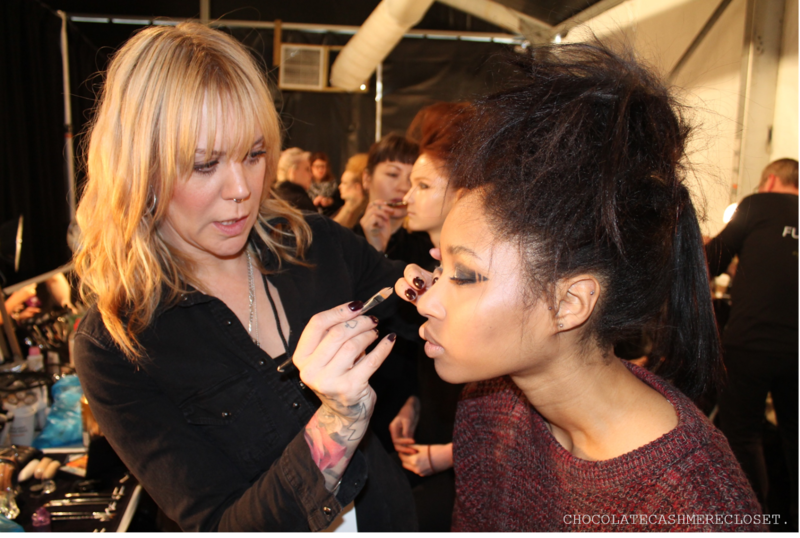 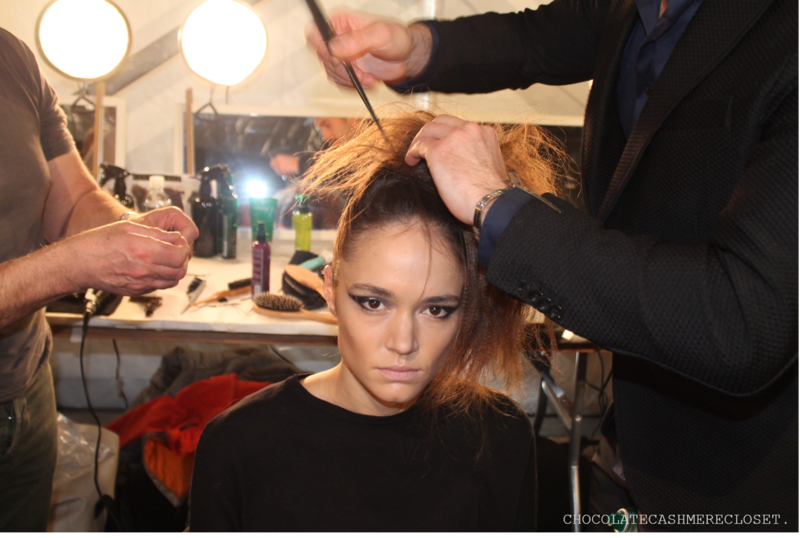 As for makeup, striking dark metallics, smokey eyes and geometric black liner took similar hints from the collection's pieces. 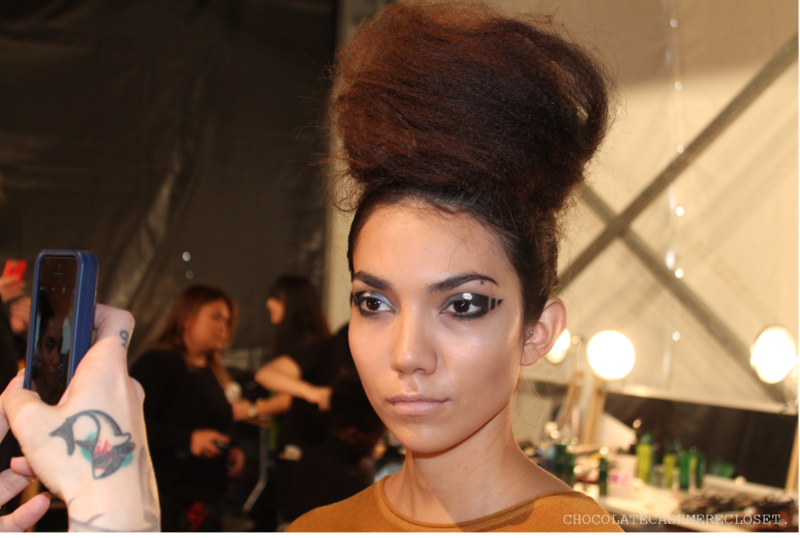 See more of the splendid hair and make-up looks below. 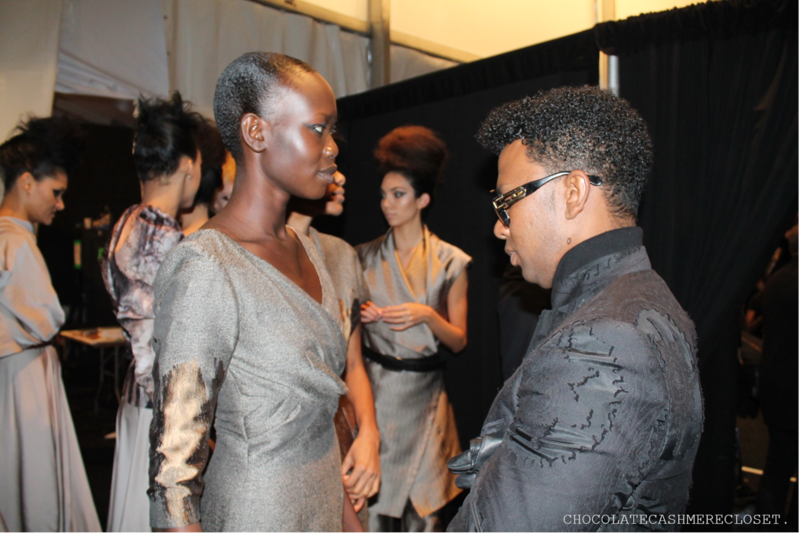 Designer, David Tlale, adjusts one of his model's dress right before the runway show.